It is time to bring out your best luggage and pack your bags, now the fun of travelling begins. Most likely, you already own number of travel bags but are they the right ones for this trip? Is it maybe long overdue to renew some of your luggage? Whatever your reasons are, let's go through our Top Travel Tips for choosing the best luggage for you... and your trip. 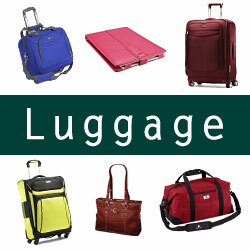 We provide buying advice for the different types of luggage that are available. Should you go for check-in luggage or will carry-on luggage do. We explore the pros and cons of suitcases, roller cases, trolleys, garment carriers, totes, duffel bags, laptop bags, etc. 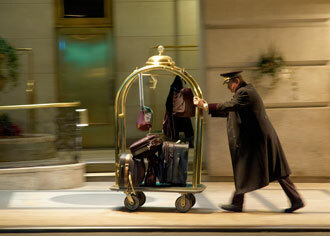 We look at what type of luggage suits your travel needs best. You travel needs should decide which kind of luggage you choose so the first question is... what kind of traveler are you? Are you frequent traveler or do you always travel with your family? Do you go on long journeys or prefer short breaks? Do you travel on business? We look at which type of luggage suits best for different travel needs. When you know which type of luggage to go for, we advice how to choose the right luggage from all the different models and brands available. We advice on luggage size, the benefits of lightweight luggage, why you should consider wheeled luggage, the pros and cons of soft versus hard sided luggage, how to evaluate durability and quality, how to find luggage that "fits your personality", what are the best luggage accessories, the importance of reading luggage reviews, and last but not least, the price. Luggage sets are great for people that travel often. They give you more options when packing for a trip. 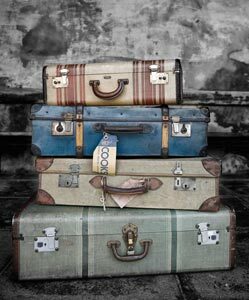 Matching luggage pieces not only look nice, buying luggage set is usually significantly cheaper than buying each piece separately. Our buying guide to luggage sets advices what to look for when buying your luggage set. Wheeled luggage is understandable very popular choice by travelers. The durability of luggage wheels is one of the most important factors to consider when buying wheeled luggage. Read our advice on how to identify the best quality wheels for your wheeled luggage. Spinner luggage is an upright suitcase with four luggage wheels for easy movement in any direction. Spinners are getting increasingly popular by travelers and understandable so. See our buying guide to spinner luggage for advice on what to look for when buying your spinner bag. The Samsonite brand is recognized globally for stylish quality luggage. Samsonite not only offers stylish quality luggage, it also offers wide range of stylish quality luggage. Read our assessment why Samsonite spinner luggage is so popular and where to buy yours online at the best price. Eagle Creek Luggage and travel accessories are innovative and designed to make travelers life easier and to last you a lifetime. Durable, lightweight, secure, comfortable and organized are the keywords where Eagle Creek products are concerned. Read our assessment on how Eagle Creek luggage is different and where to buy them at the best price online. Wearing your carryon luggage is one way of packing light, or taking more with you, i.e. as your wearable overcoat does not count as one of your allowed cabin luggage item. There are actually more good reasons for wearing your hand luggage when travelling. See our wearable carryon luggage assessment, all about benefits and features. Leather luggage not only looks great, it also feels great. Not all leather is equal, so how do you know which leather is best for luggage? See our practical buying tips for quality leather luggage. 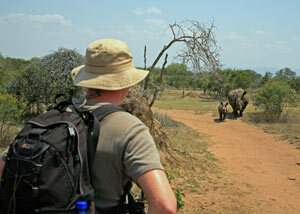 We at Top Travel Tips are constantly on the lookout for great travel offers for our readers. Check our Top Travel Shop for the latest luggage deals on top luggage brands. Most children enjoy having their own piece of luggage when travelling. It makes them feel “grown up” and involved in the travel preparation. We offer you some practical tips for buying children's luggage. Many countries and states have laws that require car seat for children under certain age when travelling in car. To be sure you stay within the law, you should always use car seat for all children under 12 years of age... it is also safest for your children. Travelling with car seat can however be impractical, especially as airlines are getting increasingly strict about their luggage allowance. Therefore, children luggage that is travel car seat as well might be the ideal solution. You need good camera bag if you are travelling with your camera equipments. Lowepro camera bags are popular choice by professional photographers and amateurs alike. It is easy to see why, Lowepro camera bags are designed with the photographers needs in mind. Our Lowepro camera bag review is based on our personal experience of the Lowepro brand. We own number of Lowepro products and we are very pleased with all of them. If your travels include any kind of wet conditions, then waterproof camera bag is necessary. You need a good golf club travel bag if you are travelling with your golfing equipments. Whether to choose hard or soft case bag depends mainly on what kind of travelling you do. Actually, there are similar things to consider as when buying ski luggage. When going on a ski vacation you need to pack some specialized clothes and equipments. We go through what kind of ski luggage you need for your skiing vacation. Our ski bag buying guide offers advice on what to look for when buying your ski bag. All about size, fit, material, padding, soft or hard case, ski boot bags, zippers, handles, wheels and warranties. Lightweight luggage is the name of the game today, as airline luggage allowance seems to be diminishing all the time. Always check the airline luggage weight and size allowances before you pack your bags. The luggage allowance can vary greatly between airlines. It can also be different depending on your destination or the class you are travelling in. For your convenience, we have listed the carry on luggage restrictions and check-in luggage restrictions for 25 major airline carriers. It can be costly if you exceed your airline luggage weight allowance and the airlines are only getting stricter on this. Owning your own portable luggage scale could literally save you hundreds of dollars in airlines surcharges. Many airlines allow you to pay fixed amount to check in extra bags - each with the same luggage allowance as your free bag. You usually do not need to have many kilos in overweight to make this a cheaper option. Most of us prefer to be able to lock our bags when we are travelling, including when we are checking in at airports. Airport authorities can inspect our bags at their own discretion. In some countries, like the US, they can do so without involving us. Opening luggage locks with force can damage the lock, and even the best luggage piece. However, if your bags are locked with TSA luggage locks, airport security can unlock them with a master key without damaging your luggage. TSA locks keep your belongings save and your luggage intact. Finding the best luggage for your travel needs has never been easier, or more fun.